If you are an aubergine hater, you can always sub in courgettes or another vegetable of your choice (or just make it as a marinara sauce)! This is in no way authentic, but in my opinion it’s equally delicous. I first tried it in a local restaurant in Palermo, Sicily, where it blew my mind with delicousness. However, they fried the aubergine there, and so it was a bit too oily for my liking, so I decided to just cook the aubergine in a bit of extra virgin olive oil. You can also save this sauce and use it for shakshuka, a delicious tomato sauce with an egg poached in it. Cook the aubergine in olive oil until salt and make sure to season liberally with salt. Add garlic near the end of cooking time and sauté until fragrant. Add tomatoes and optional sake or white wine and herbs. Simmer until reduced until liking. If it’s reduced too much, you can always add pasta cooking water. When serving, I recommend having it with pecorino, or if not, parmesan. 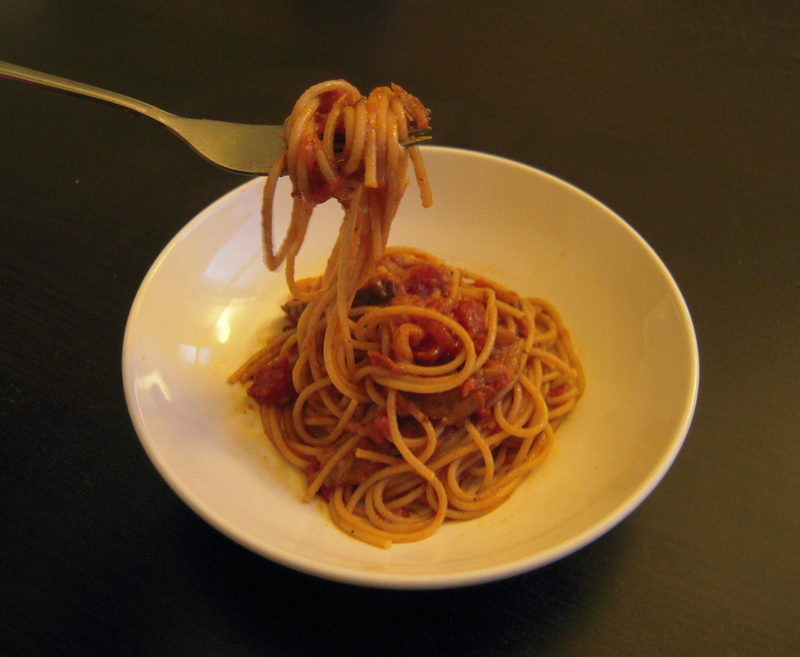 I love all sorts of pasta, but fried spaghetti is my favorite comfort and pasta dish! 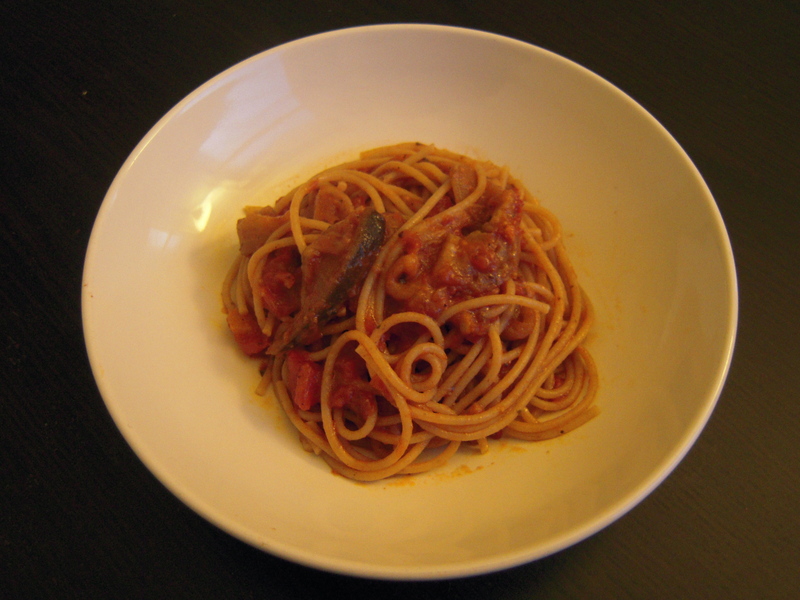 I’m quite pleased that many italian pasta dishes are very simple and tasty as long as there’s good pasta involved! Totally agree! This is so simple but the aubergine is so silky and melts in your mouth!